Welcome to Year 4: Finches! 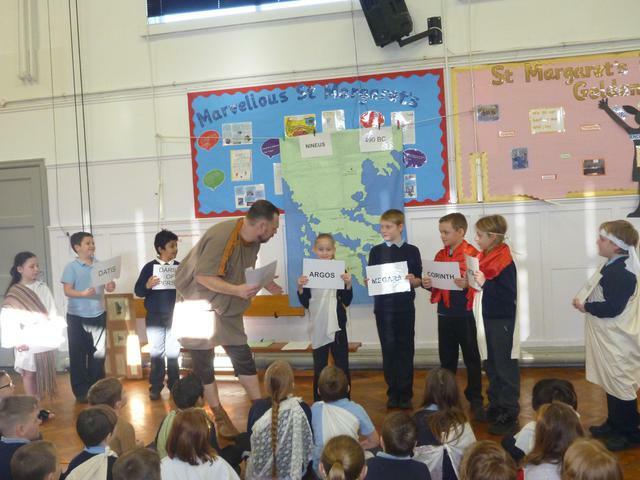 This term, for our sparkling start, we had a fantastic visit from Ninneous. He time travelled from Ancient Greece to spark our curiosity for the Topic. 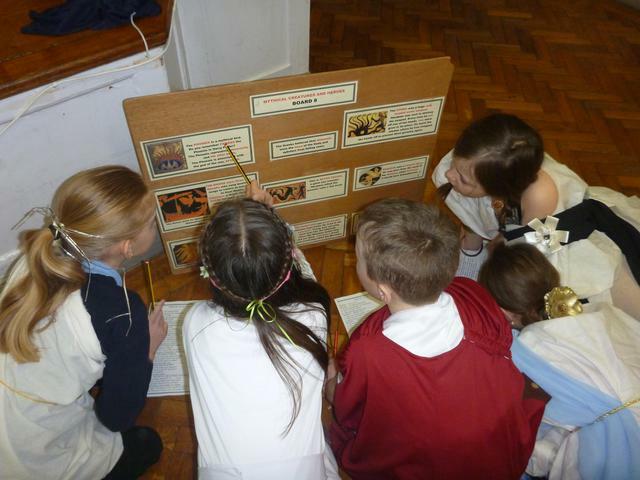 We started off the day by collaboratively finding out different information about the history of Ancient Greece. 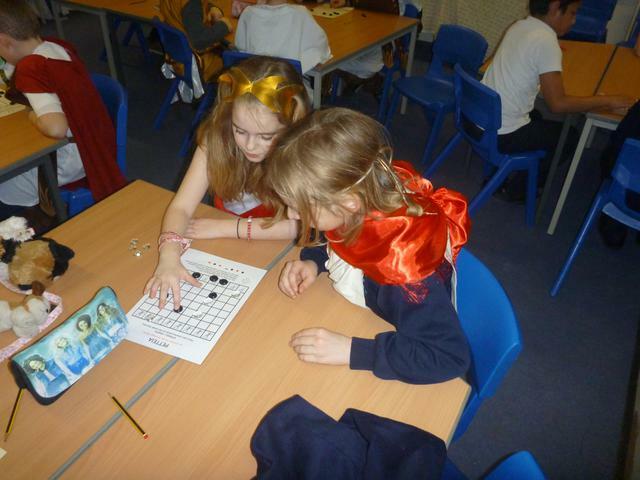 During the afternoon, we enjoyed playing a classic Ancient Greece game which is similar to draughts. 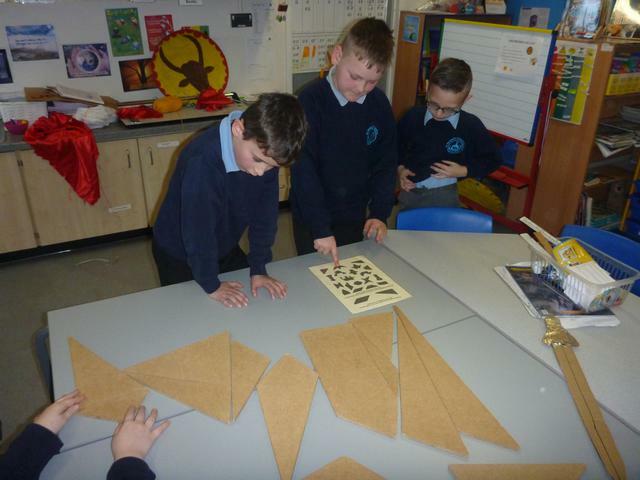 We also put our problem solving skills to the test when working out how to place different pieces into the giant jigsaw. We found out there was more than one possibility too! This week in Maths we have been learning to multiply large numbers. To help us with counting in sevens, we have been singing (and marching) to Sgt Seven! We LOVE this song and it definitely helps us count in 7s. In Literacy and Language we have learnt how to write a play. Firstly we all learnt the actions to The Fly and the Fool by Lou Kuenzler, then we mapped out the play and discussed key features. Once we had done that, we boxed up the play (this important so we are clear on the structure when we write our own). We had lots of discussion and also did some acting. Finally, we were ready to write... we all had so many ideas we couldn't wait to write our own! This is the Sgt Seven song we use to learn our seven times tables. Join in... you know you want to! Hit the Button So far our best score for the 6 times tables is... 17! I wonder what your top score will be.